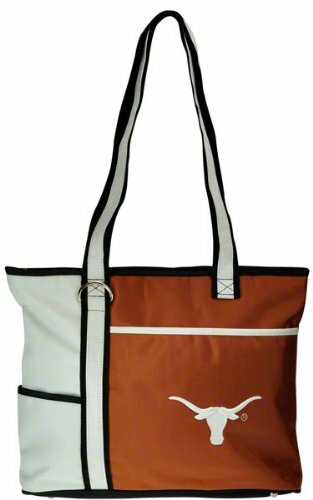 Take your favorite beverage with class in this 24 can tote cooler. 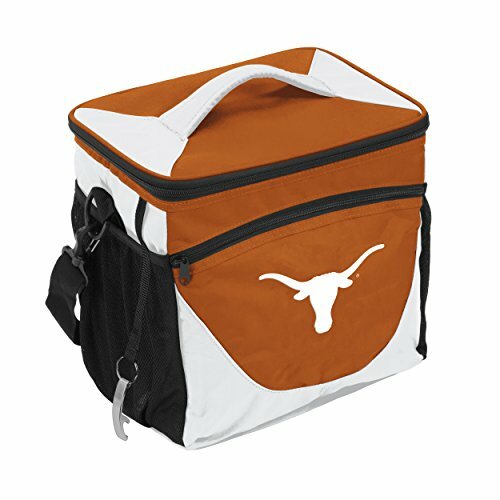 This cooler features full color embroidered logo,multiple pockets for accessories and it holds 24 cans. 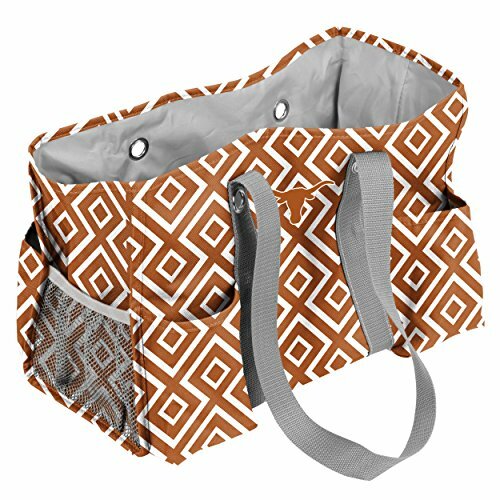 This is truly a gorgeous versatile bag with so many uses it will surely become your favorite. 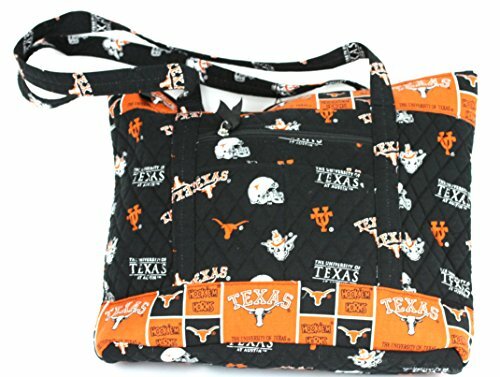 Made out of a super soft yet durable quilted cotton material, this bag will get tons of oohs and aahs. Zippered top closure-large interior zippered pocket plus 3 additional easy access pockets on inside 1 zippered pocket on outside of bag plus 2 additional easy access pockets on outside of bag Coordinating interior fabric Hard bottom insert to help maintain shape LENGTH=17" WIDTH=4" DEPTH=14" DROP=13"
Our all-purpose shopper tote with its slick exterior and college logo is the perfect carryall for game day and everyday! Clear vinyl exterior means rain or shine it will always look new. 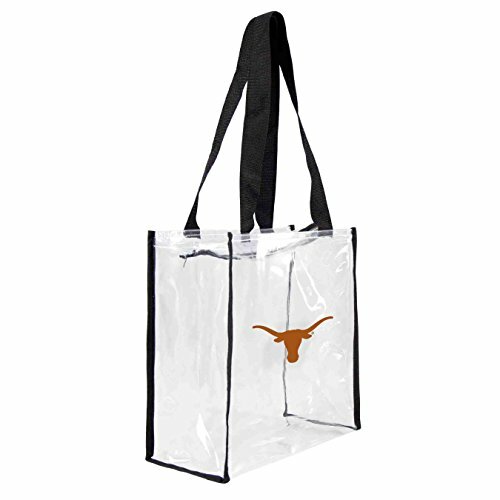 Bring a little fashion to the field with Littlearth's stadium approved Clear Square Stadium Tote. Measures 11.5-inches in length, 5.5-inches in width and 11.5-inches in height. Large compartment with zipper cloure holds all your game day needs securely. Straps allow for shoulder toting. 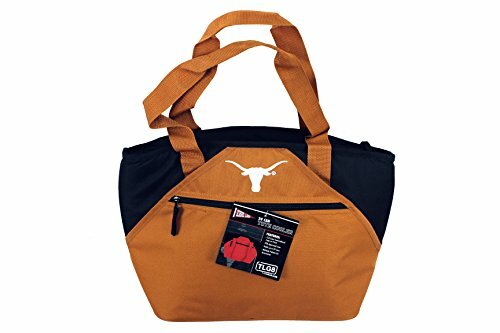 Features large team logo decal on front of stadium tote. Made of 80% vinyl and 20% polyester. 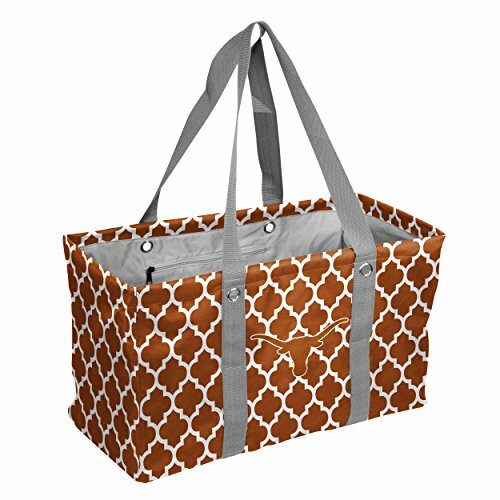 The Junior Caddy tote is the perfect solution for organizing your tailgate supplies. It offers stylish and extensive utility with a large main compartment, six outside pockets, and one interior zipper pocket. 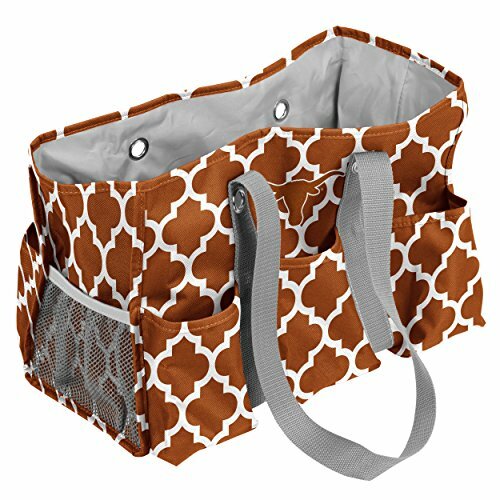 Many moms love to use this as a diaper bag or weekend bag. 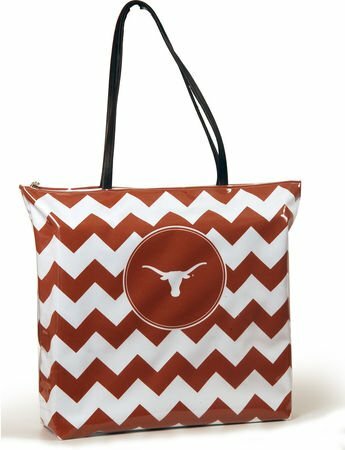 Your favorite team logo is screen-printed on one side and the tote features an on-trend pattern.